Well, talk about ‘death to all but metal’! 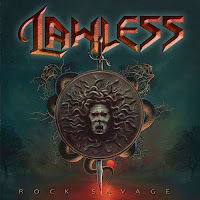 Lawless are a new band featuring Neil Ogden and Paul Hume from Demon, plus Persian Risk guitarist Howie G and Headrush bassist Josh Williams. As you might expect from the Demon twosome, it’s pretty straightforward hard rock that takes no prisoners and spouts clichés like they’re going out of fashion. I can’t swear to this, but I expect they wear studded wristbands as well. As you can see from the rating, I certainly wasn’t disappointed by ‘Rock Savage’, as for an old school metal fan it’s very hard to dislike. It’s well produced, very melodic and crammed full of big riffs and sweet solos from Howie G. Hume’s vocals are ideally suited to the style of music, and whilst he isn’t an outstanding vocalist he gets the job done without grunting or screaming, and that’ll do for me. The tracks are all catchy and well played, although a few are certainly rarher, shall we say, tacky. ‘Step In’, for example has the refrain ‘Step in, girls in the house say woah, boys in the house say woah, we all say woah oh oah’. The biggest problem for me is that it’s really catchy, and I was singing along during my first playthrough! I didn’t want to, because I’m all grown up and a journalist and all that, but I did anyway because it was fun. ‘Fun’ is a good way to sum up Lawless’s first effort. Aside from the deep and meaningful ‘Where Heroes Fall’ it’s all a bit of a laugh, but one that you are happy to join in with. It’s all much less metal that the cover would indicate, and this is suitable for anyone who wants a bit of no nonsense hard rock with oodles of melody thrown in. 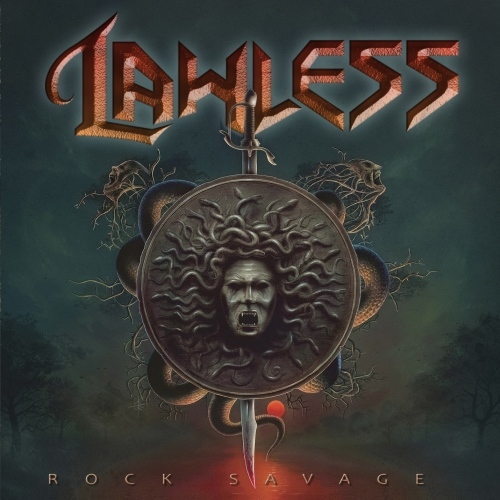 Retro it may well be, ‘Rock Savage’ is far, far better than it has any right to be. Official Website: Your guess is as good as ours. 42 DECIBEL: "Hard Rock N Roll"
BLACK STAR RIDERS: "All Hell Breaks Loose"